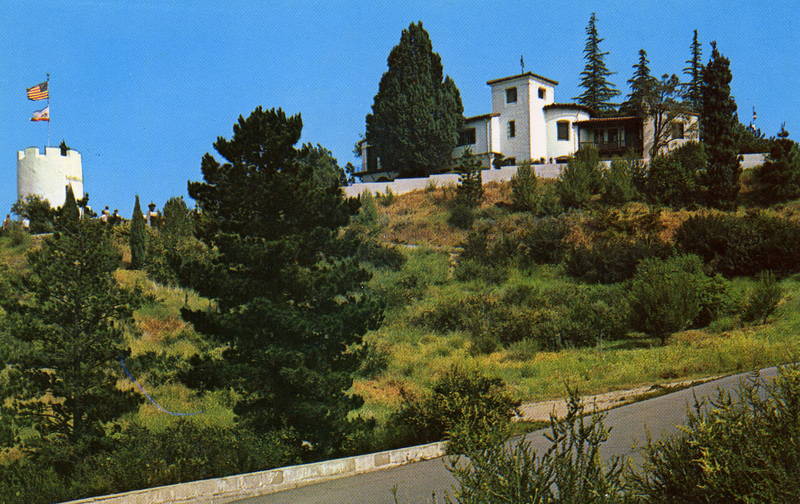 William S. Hart Residence, Newhall, Calif. Real photo postcard, circa 1960s. On reverse of postcard: "The picturesque WILLIAM S. HART Horseshoe ranch overlooks Newhall, Calif. Here the famous star of early western movies developed a 300-acre ranch befitting his movie roles as well as his youthful backround among the Sioux Indians and cowmen. The Ranch is open to the public as a recreation area of the County of Los Angeles."